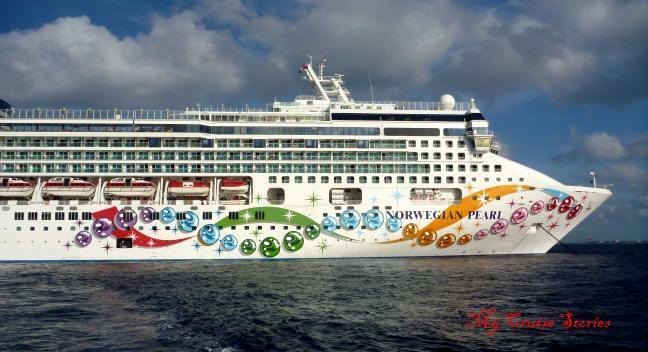 MIAMI – Federal agents were on hand at the Port of Miami on Sunday to begin an investigation into reports that a 24-year-old woman jumped overboard from a Norwegian Cruise Lines ship as it sailed off the coast of Cuba. Kaylyn Rose Sommer “was observed intentionally going overboard from a stateroom balcony” aboard the Norwegian Pearl about 7 p.m. Thursday when the ship was about 22 nautical miles off Cuba’s north coast, according to a statement from cruise line officials. “Agents met the ship as it pulled into port,” said FBI spokesman Michael Leverock in an email Sunday. Sommer, from Charleston, S.C., was aboard for the Mad Decent Boat Party, billed as a four-day party of electronic dance music that would take place as the chartered, 965-foot liner sailed from Miami to Cozumel, Mexico, and back. Sommer is the second passenger reported to have gone overboard from a cruise ship within a week. On Nov. 6, Bernardo Elbaz, 31, of Brazil fell off the Royal Caribbean ship Oasis of the Seas near the Turks and Caicos. The Coast Guard called in the cutter Alligator and a C-130 aircraft from Air Station Clearwater to search more than 1,300 square nautical miles before suspending the hunt Saturday, officials said. According to social media, Sommer is the mother of a 6-year-old daughter, Rylee. The woman’s father, Michael Sommer, told the little girl that her mother was lost at sea, WFOR-Ch. 4 reported. Among those scheduled to perform were Skrillex and Major Lazer. “We are deeply saddened by the news that one of our guests on our current cruise went overboard on [Thursday]” organizers said in a statement posted on Friday. The promoter of Mad Decent Boat Party is Sixthman, an Atlanta-based company that began creating music festivals in 2001, according to its website. Sixthman officials could not be reached for comment Sunday.